Why is it So Expensive to Build in Sydney, Melbourne and Brisbane? 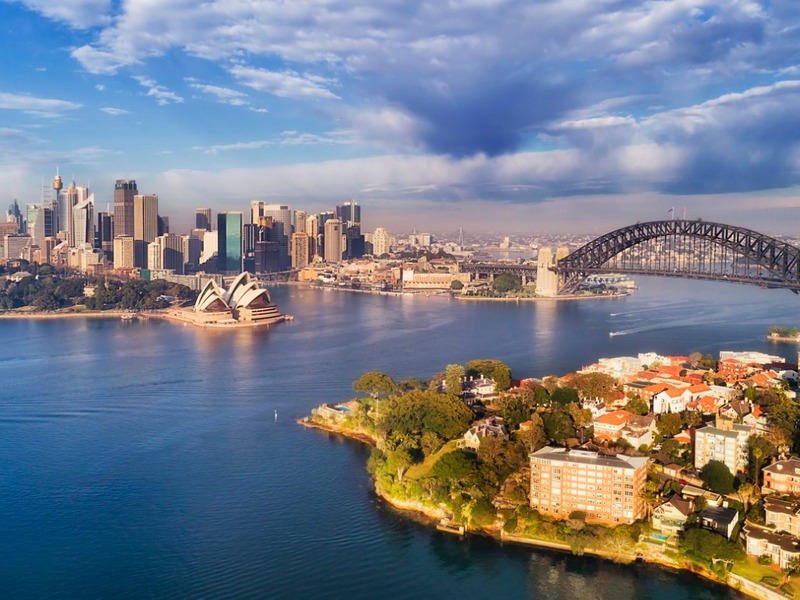 Sydney, Melbourne and Brisbane are among the top 25 most expensive cities for construction according to Arcadis’ International Construction Costs 2018 report. The cost of construction has always been high in Australia due to its geographic isolation and the associated costs of import taxes, travel and transporting materials. But what specifically makes each city so expensive and unique? Sydney is Australia's most expensive market in which to build, sitting at 19 internationally. Sydney sits at number 19 (of 50) in this year’s construction cost ranking, and is the most expensive Australian city in which to build. This reflects buoyant the city’s construction industry is across the commercial, retail and infrastructure sectors, with apartment construction continuing to be one of the city’s strongest performers. Sydney, along with Melbourne, led Australia for record dwelling approvals and commencements during the 2015-16 period. 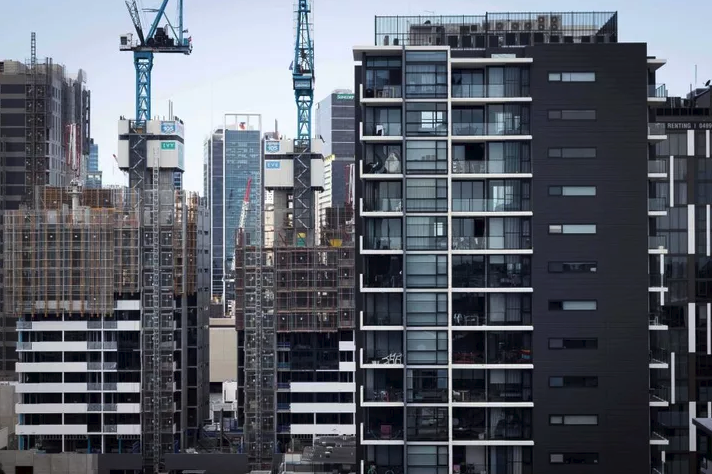 The NSW government forecasts that another 185,000 houses and apartments will be built by 2021, particularly in western region growth areas like Parramatta, Blacktown and Canterbury Bankstown. While residential activity and values are expected to slow gradually toward the end of 2019, the current growth cycle will continue for some time to come, in part due to the record low interest rates that are being experienced. This current cycle is underpinned by the NSW government’s 10-year multi-billion-dollar infrastructure investment program in roads, rail, public transport and stations. Projects, including WestConnex and Sydney Metro are expected to help underpin new residential development for years to come. The NSW government’s mid-2017 budget announcement of $4.2 billion in education infrastructure is encouraging with regard to actual delivery of these projects, and has set expectations in the market for a similar and continued level of expenditure over the next few years. This level of investment is also being reflected in the education sector, as we see the NSW government committing to an investment program that significantly exceeds any previous spend. 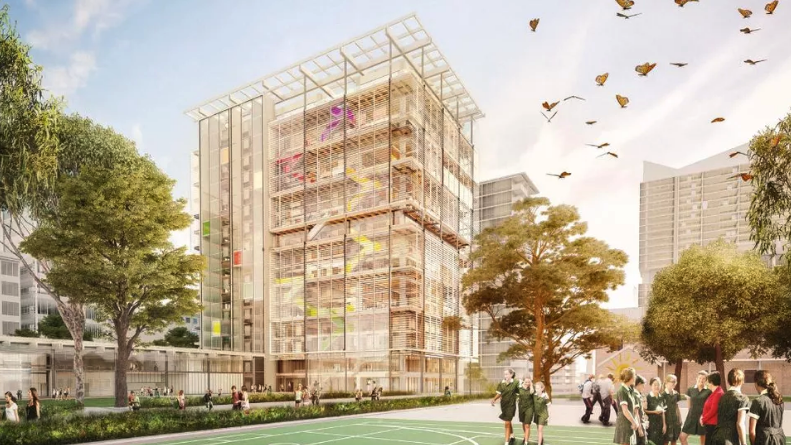 This investment looks to focus on expanding and building new schools across Sydney’s growth corridors in the west, the south-west and the north-west of Sydney, with some regional areas also benefitting. Commercial construction has benefitted from the infrastructure investment boom and has been a solid component of the Sydney market for quite some time. Activity in this sector is expected to keep rising steadily over the next few years. Many significant city-shaping developments will also impact Sydney’s construction market further over the next three years. Quay Quarter – anticipated completion by 2021. 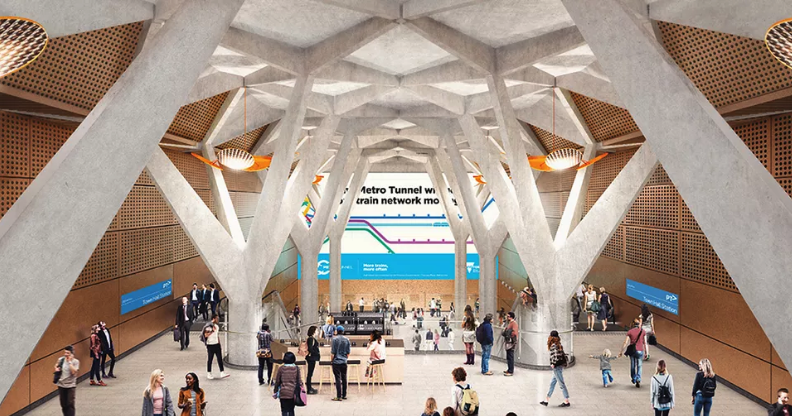 In addition to the above major projects, there are a number of significant potential over-station developments in connection with Sydney Metro, including the $1 billion redevelopment of Martin Place. 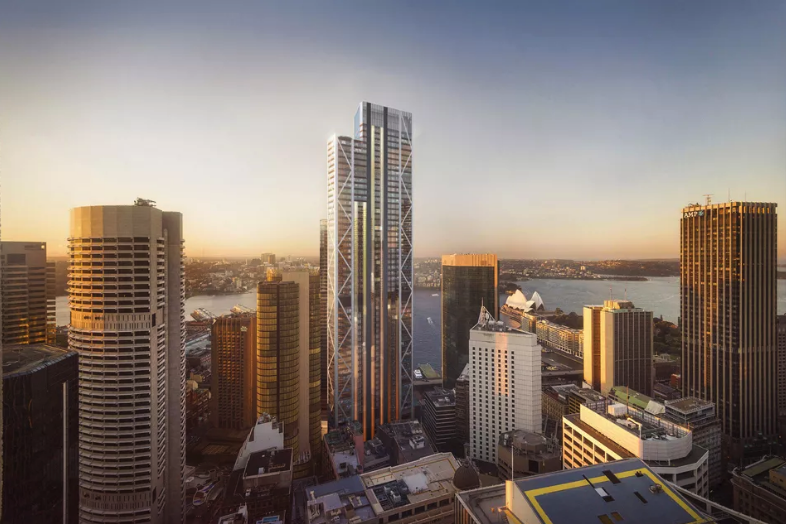 Located between George and Pitt Streets, the scheme comprises a new commercial tower, a new public plaza, a revamped Jacksons on George building, and a network of pedestrian laneways lined with shops, cafes, and bars. The current volume of construction activity is starting to create difficulties in recruitment of skilled labour and sourcing trade contractors across all sectors, which is beginning to have a direct impact on tender pricing. This situation is expected to worsen as the volume of construction activity increases over the next few years. There is anecdotal evidence that Tier 1 and Tier 2 contractors are beginning to decline tender opportunities based on the balance of risk and potential reward. This trend is also being experienced further down the supply chain. The current level of infrastructure spend will continue to negatively impact on trade costs, particularly where trades, such as civil and structural engineering services, are shared between the property and infrastructure sectors. Overall, the tender market is currently competitive, and in the majority of cases it is not proving too difficult to confirm an adequate list of tendering contractors. This is subject to the procurement methodology being adopted, the balance of risk and the transparency of the process. It is likely that it will become more difficult to confirm first choice tender lists toward the latter half of 2018 and beyond, as the market moves further into its “boom” cycle and contractors become more selective. We therefore anticipate that tender pricing will continue to increase steadily during 2018, based on the current level of construction activity. However, we expect that tender pricing will begin to increase more rapidly as significant city-shaping precincts move into and through their respective construction delivery phases. Melbourne is the second most expensive construction market in Australia. Melbourne sits just behind Sydney as Australia's second most expensive city in which to build, according to Arcadis’ 2018 International Construction Costs report. 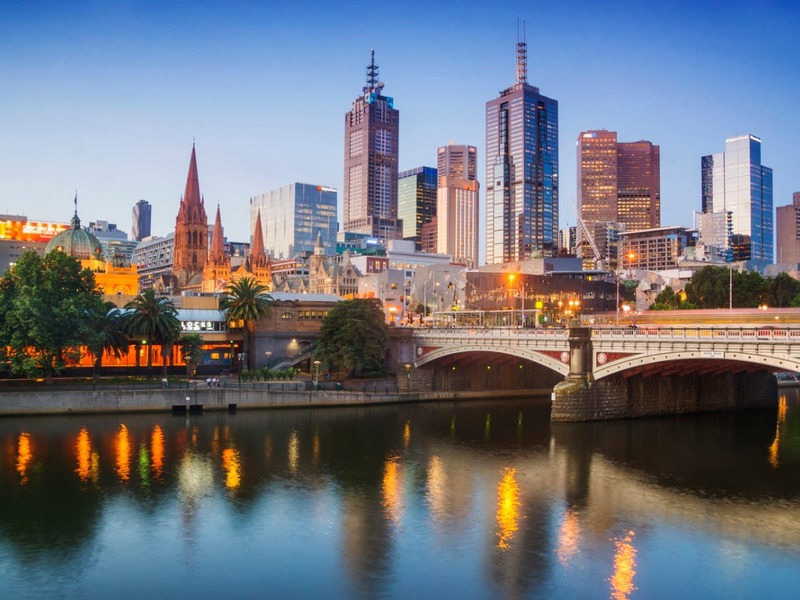 Melbourne’s development profile mirrors Sydney’s, particularly in relation to apartment construction and government-funded infrastructure, which continues to underpin the city’s growth. An unprecedented infrastructure investment in road and rail by the Victorian government will likely keep a strong pipeline of work through to early 2023. The Victoria government’s May 2017 budget also focused on investment in retirement living and student accommodation, marking these sectors out for future growth. However, lending restrictions from the principal financiers are tightening, and these will likely influence whether construction projects proceed, particularly in the residential sector. Infrastructure investment is likely to increase significantly over the next few years as Melbourne Metro, which is the largest transport project that Melbourne has seen in 35 years, moves into its delivery phase. The current cycle of industry boom and the high volume of construction works occurring in Melbourne, including major infrastructure projects such as the AU$11bn Melbourne Metro rail tunnel, is beginning to have a direct impact on tender pricing. As is the case in New South Wales, Victoria's Tier 1 and Tier 2 contractors have much more power over opportunities to tender, as they can now select specific projects based upon likely returns and balance of risk. We are already beginning to see the impact on construction wages and labour costs, as Melbourne continues to move through its “boom” cycle. Labour cost pressures are continuing to increase within both the infrastructure and property construction sectors, and we expect that this overall situation will worsen over the next 12-18 months. This is being largely driven by contractors competing for the same pool of skilled labour as major projects ramp up. This is potentially a larger problem for government projects. By their very nature, governments are less price sensitive than the private sectors, as they can fund higher wage bills out of consolidated revenues. However, increases in labour costs for public sector projects will have an adverse impact on the private sectors, potentially making some projects unaffordable to build. More affordable than Sydney and Melbourne, Brisbane is still 22nd on the list of the world's most expensive cities in which to build. At number 22, Brisbane is currently one of the most affordable Australian cities in which to build, particularly when compared to Sydney and Melbourne. Nonetheless, of those cities analysed in this year's International Construction Costs report, it still ranks in the top 25 of the most expensive cities in which to build. Brisbane has experienced three years of gradual but steady, growth following the collapse of the natural resources boom. This growth may be about to change over the next 12 months, given that the city’s construction cycle has slowed considerably over the last few months, mainly because of the slump after its recent inner-city apartment construction boom. 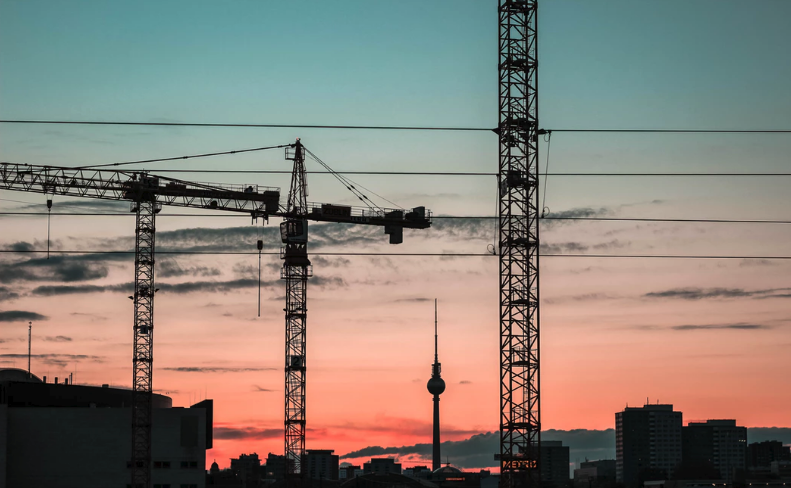 There are many factors that are contributing to the dampening of construction activity, including an oversupply of inner-city apartments, a reduction in apartment approvals, stricter lending criteria and potentially tighter restrictions on foreign investment. The recent apartment construction boom has seen some upward pressure being applied to trade pricing, particularly finishes, joinery and engineering service trades. These costs have stabilised in recent months, but we anticipate that pricing will begin to soften later in 2018 as skilled labour becomes readily available and the market becomes more competitive as contractors become hungrier for work. While there are a few major city-shaping precincts, both proposed and in the early stages of construction, Brisbane is currently facing a significant lack of volume in terms of overall construction activity. The city also has significant infrastructure requirements that could be funded given the existing pressures on rail, road, airports, ports and utilities from sustained population growth and a legacy of under investment over the previous two decades. In response to this, infrastructure investment remains crucial to Brisbane’s future and the second term Labor government says it is committed to major projects such as Cross River Rail, Brisbane Metro, Brisbane Live and Queen’s Wharf. This is a positive sign: most of these projects will not reach their construction phases until well into 2019 and beyond. The ongoing downturn in inner-city apartment construction is likely to produce a downward trend in confidence, due to the reducing level of construction activity over the course of the next 18 months. The situation could be far worse. Had there been a change of government, it is likely that many of the proposed infrastructure projects would have been either put on hold or cancelled altogether, so that detailed reviews could be undertaken. The one advantage that Brisbane has over its southerly neighbours is housing affordability. Consequently, forecasts indicate that interstate migration is set to continue and increase over the next few years, but this will only occur in tandem with a matching level of employment growth. Looking at the Brisbane market, both interstate and overseas migration will not significantly impact the property market for at least a few more years and will occur in parallel with an increase in activity in the infrastructure and property sectors. 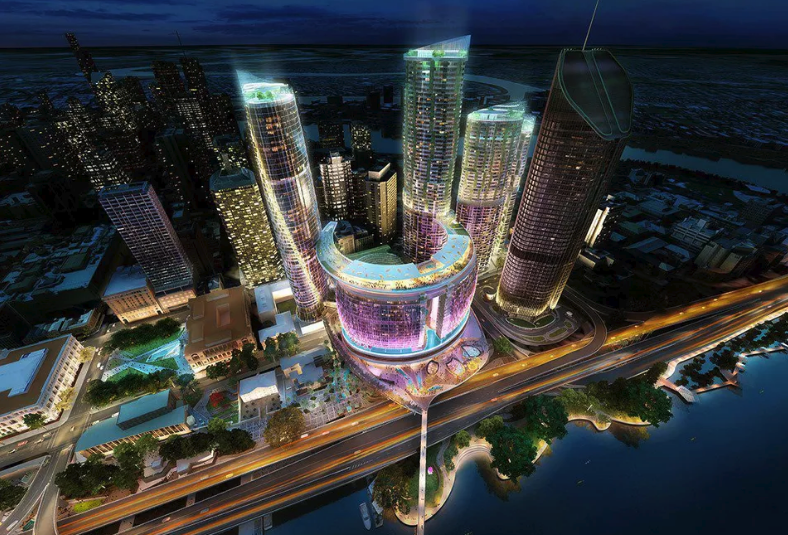 Despite the relatively negative current situation, the future for Brisbane looks bright. 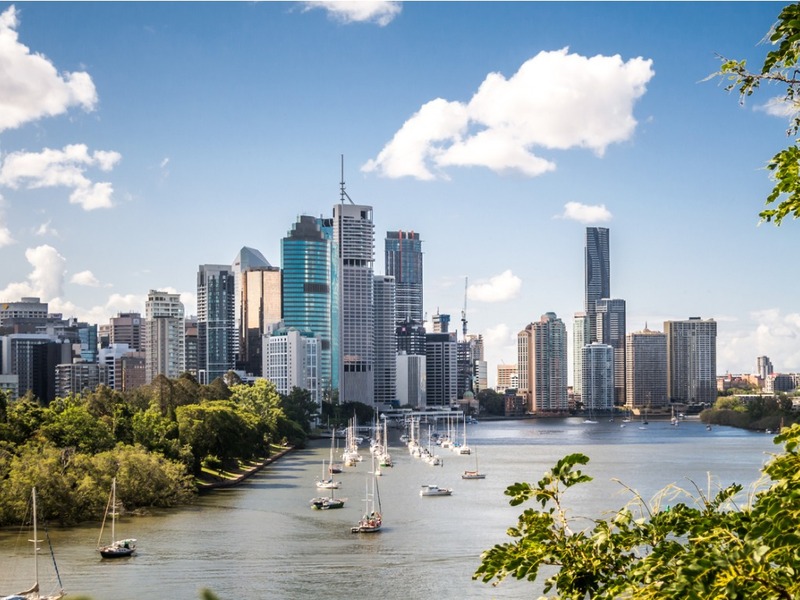 Industry commentators are predicting that Brisbane will become a major city – one to rival Sydney and Melbourne – and that this will be driven by significant population growth and increases within the knowledge and tertiary educated workforces. 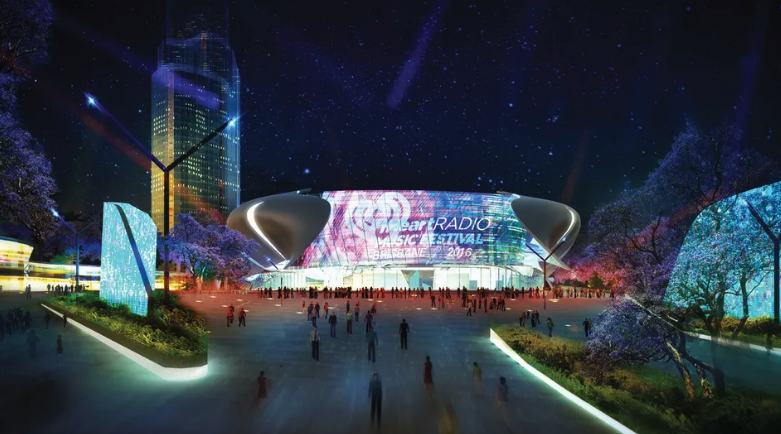 Plans for a 17,000-seat entertainment arena to be built above the new Roma Street underground station has received a boost from the Queensland government. This will also coincide with the completion of major city-shaping precincts, such as Queen’s Wharf and Herston Quarter, and infrastructure programs such as Brisbane Metro and, potentially, Cross River Rail. The relative absence of significant infrastructure and construction projects during 2017-18 has created a vacuum in the Brisbane construction market. This is likely to have an adverse effect on industry confidence and push construction prices lower. We anticipate that the market cycle will move into a period of stabilisation, along with returning confidence, once the reported major projects move into their construction delivery phases. The full Arcadis International Construction Costs 2018 Report can be downloaded here.